A few weeks back I asked a loaded question: If You Could Only Have One Lens, What Would It Be? I knew from the start that it’d be tough question for most, as it was for me. Picking one lens when many of us shoot varied subject matter would present special problems. Here now are the numbers from a purely human count of the responses. If someone picked two lenses, I threw out the answer. If the answer was unclear, I threw it out. All in all there were 334 tallies for 82 different lenses. This is not a scientific poll, if that wasn’t stated clearly before. The other 57 lenses with two or less votes are not shown here. All in all they garnered less than 22% of the total mentions and they covered most of the 35m DLSR lenses available. If you care to peruse the rest of the mentions, the original post is here. And before someone calls me on it, I grouped the Leica 50mm Noctiluxes for easy of posting. That’s one hefty price for a nice lens! I cannot believe no one would stick with a tilt/shift lens for all its possibilities. For years my Canon A1 usually had the excellent Canon FD 35mm T/S as my prime lens and even now my full frame Nikons often sport an old PC Nikkor or newer pc-e. It's like large format in small packages. 50mm f 1.4 is a MUST HAVE! I am just about to walk out of the house to buy the Nikon 35m. 1.8 so am very happy to see it made it onto the list! Thanks for the informative post. I was happy to see the Nikon 35mm f/1.8G AF-S DX nestling about half way down with 8 votes. This is a great very affordable 35 m lens. On an aps sensor like the Nikon D40 it tranforms the excellent little entry level DSLR into a class act. It is of course the equivalent of roughly 50m on a full sized sensor or film SLR. Very creative thinking on Nikon's part! OK, I was going to just read, but there have been more than a few comments that price might have been a factor. I have lets say a number of lenses. It does not seem to matter if it is and hour or and adventure, I bring more than a few thousand dollars worth of photo equipment counting body and lens , tripod not included. The question was what was the ONE lens. I had a feeling, but also did a few searches of my thousands of images and the truth was 18-200, not my most expensive lens nor my least expensive lens just the one that records what my mind is seeing 77.6% of the time. So by scientific method I proved my "feeling"- IF I had one it would have to be my Nikon 18-20. WOW! The 2 top lenses just happens to be the first 2 lenses I ever bought for my Nikon D300 and I can only add to the other posters here and say just how versatile and effective they really are. I threw my Nikkor 18-200 in my bag at the last minute when we went to Italy a couple weeks ago. I must admit that most of the time I did use the Nikkor 17-55/2.8, but I was really glad to have it during 2 days of rain in Venice and I didn't have to do the lens change dance! The Canon 35/1.4L is my most used, go-to lens. If I had to, I could use it exclusively for the rest of my life. I find it funny that there were only 3 people who chose and 85mm fixed (my personal favorite) and nobody mentioned a 105mm fixed, as they are touted as the most popular portrait focal lengths. I also didn't expect the 50mm fixed to be so popular. As a follow up survey, I wonder how many people are getting the approx. 100mm from a crop sensor. It may explain the popularity of the 50mm over the 85 and 105mm. It's amazing how an 18-200mm lens are BOTH the first and last here. canon ef 50mm 1.8 II.. ok it's made of plastic, with low light it's hard to get a good focus, and if you use it a lot, problably you will have problems within 2 years, etc... but this little thing only cost about 110€ (in portugal...) 110€! and it have a superb quality for something that costs 110€... i have a canon 400D, and i only have experience that lens on my 400D, but when i get a perfect focus, the detail (sharpen detail) it's amazing, i have some prints with 120x80cm and the quality if detail it's very good... if you don't have money to spend on a expensive lens, try this one... and you will not regret. If I may add my twopence worth?..... Nikon just has a better "click"! I would be interested in a similar survey where cost IS an object. I.E. Your favorite bargain lens. Great surveys, the camera manufacturers should be informed of this as it reflects the wishes of the majority of the (armature) photographers in the world. The manufacturers should come out with one lens that covers at least the wide angle and zoom and if they can give one that is better (or the best) than what we have, they would have captured the market. Serious armatures and professional have the best in Prime lenses. phil burdine, I think you may have missread my comment. I never said DPS weighed the poll on ANY brand. I said, "There is no other blog/photo info site that I know of that has such a heavy weight on Canon USERS. It is obvious on several polls that the readers of DPS are more Canon than any other brand. There is no problem with this. I was making a simple observation. Furthermore, I was making a joke as to how long the pic of the canon is in the "camera of the moment" (my mistake i said "pic" in error) What I meant to say ( I almost corrected myself but didn't want to double post ) is "the photographers I spend time with mostly are Nikon shooters." If they were Canon shooters then I would have gone with Canon. The ability to borrow lenses etc from the people you shoot with is great. EJ, the Lens on display at the top of this poll is a Nikon, the top two lenses are Nikon's and now you suggest that DPS weighted the poll in favor of Canon? Your statement that you surround yourself with Nikon users speaks volumes. Most of us here on DPS surrounds ourselves with PHOTOGRAPHERS! I guess by the number of Canon lens ] Canon is still the camera or choice. I like LEICA 28mm- M, 1.2,8 Asph., Lens. It is small, no distortion, works well on both: 1/34 frame as well as FFrame sensor. As a moderate wide: it covers almost all the photo application,... not to mention the lens resolution and sharpness. @dcclark and molardaddy: and cost a billion!! Thank you for the poll Peter. It is obvious you took a lot of time gathering these statistics and links. It is informative and much appreciated. I want a lens that doesn't exist! 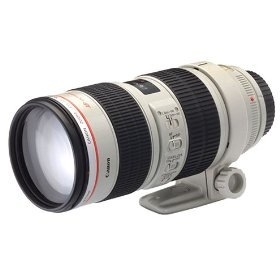 Give me tremendous zoom with the ability to open as wide as a fixed focal length, focuses with the stealth of a ninja/jedi and can make me breakfast! Until then I'll happily lug around my assortment of lenses. Thanks for the poll, very informative. I had the original Nikkor 18-200mm VR lens (sold it) and can certainly testify if you could have only one lens the rest of your life, it might as well be that one due to the range it can cover and its relatively modest size and weight as well. Not even one single Olympus lens in the list? Now only if they made the 18-200 VR in f/2.8 -- that would be the best lens ever! I think the prices for a quality lens are absolutely rediculous! What are you going to do? Unless you're a successful professional, they are out of reach for most. My secret weapon is my 135 2.8. (few more thoughts http://su.pr/7w913K) But, I don't think I could use it as my only lens. I think I would have to agree with the 50 1.4.